Ah, someone recommended me the onion rings from Carl's Jr and I'm glad for it. They're not bad at all. Batter with crunch and that slice of real onion within. Possibly the best so far, from fast food joints. oooh .. Onion Rings, one of my fav. 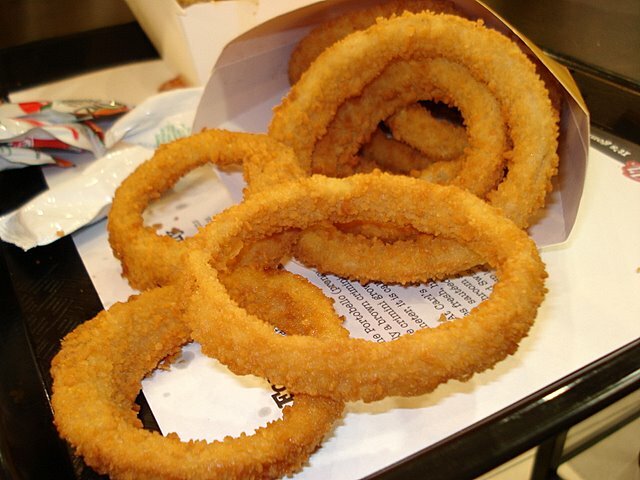 there's one outlet in Ipoh, not fast food joint, but they serve extremely crispy and delicious onion rings.